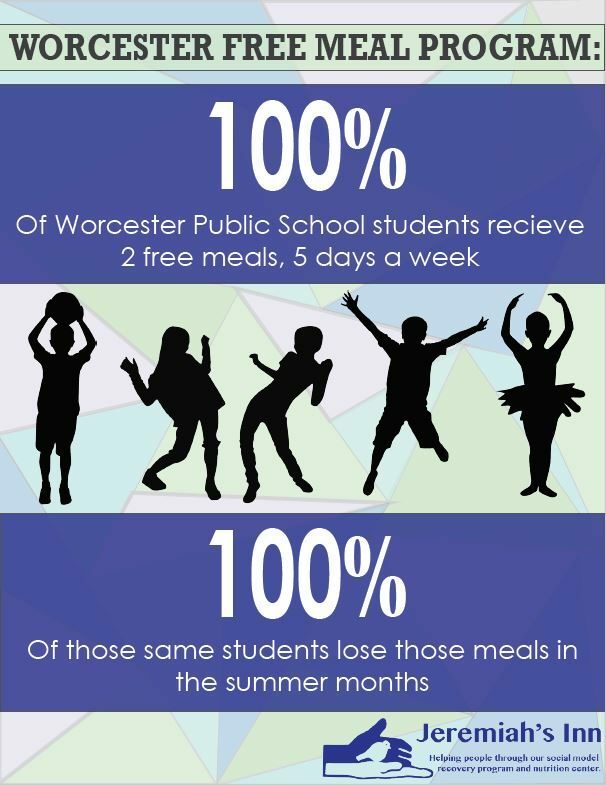 This week, we’ll be sharing five info graphics on hunger both in Worcester and the world to promote our 23rd Annual Food Drive, happening June 19th to 24th! Today, the focus is on the kids, who make up nearly 30% of our food pantry clients. 100% of Worcester Public School children are eligible for free breakfast and lunch. When school gets out on June 21, they’ll be at risk for hunger and food security. You can help us feed them this summer by contributing food or cash to our food drive! Send us a check: PO Box 30035, Worcester, MA 01603. Please share this post so we can make sure no child goes hungry this summer!